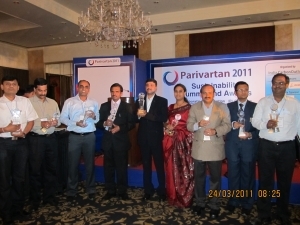 The inaugural Parivartan Awards were presented at the Awards Evening held on 24th March 2011, in Shangri-La Eros, New Delhi at the culmination of the Sustainability Supply Chain Summit organized by Sustainability Outlook. The event saw attendance from over 250 of India’s Business leaders, who outlined their vision for a Sustainable future in India. At Piramal Healthcare, Neeraj currently leads a new business venture that aims to reach out to the large underserved population of India in urban and rural markets with a promise of quality medicines at affordable prices. He has also been involved in the design and implementation of new business ideas in the Healthcare space that are attempting to provide access to quality primary healthcare in remote villages of India leveraging advances in telecom technologies. Neeraj has worked across industries and companies in various roles in the last 12 years. He has extensive experience in the pharmaceuticals, consumer products and retail sectors in business leadership, sales & marketing and consulting. Avi Sahi works at NIKE as a Director in the Sustainable Business & Innovation Lab, where he is focused on making Innovation Investments and forging Strategic Partnerships. Prior to this, Avi worked as a Vice President at Perseus, LLC, where he made growth equity investments in clean energy and environmental technology companies that were based in North America, Europe and India. Before that, Avi was a Senior Associate and founding member of the Cleantech Investment Banking group at SG Cowen & Co in New York. Prior to becoming an investment banker, Avi was a Vice President with G.E. Capital Corporation and a Business Development Manager with Cisco Systems Capital. In addition, he has worked in the commercial finance departments of J.P. Morgan, Bank of America, and Quest Capital. He currently serves as an advisor on Georgetown’s Alumni Board of Governors and is the founder and leader of the Georgetown University Buy Side Alliance. Anil Raina is a project leader for new product development at Caterpillar Inc and has been involved in new product introduction, program management, engine development, environmental technologies and emissions reduction technologies since the mid 1990s. He has also worked with Perkins Engineering and Tata Motors and in the past. He has an MBA from Bradley University and a Masters in Mechanical Engineering from the University of Alabama. Raman Ahuja is vice-president and business head of fresh foods at FieldFresh Foods, a joint venture between Bharti Enterprises and Del Monte Pacific. Before joining FieldFresh Foods, Raman worked for 14 years with Hindustan Unilever, a US$3.5bn subsidiary of Unilever. His experience at Hindustan Unilever spanned the three core business verticals in India – foods, exports, and home and personal care. He has been in various roles such as general management, product management, sales, business development and operations/supply chain. Raman is an alumnus of the INSEAD Business School’s Leadership Program. He received an MBA degree from University of South Carolina Moore School of Business and an undergraduate degree in liberal arts from Wabash College, Indiana (US). 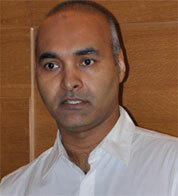 Vinay Awasthi is the Senior Director, Products & Marketing, Personal Systems Group at HP. Ashok Gupta is the director of energy policy and a senior energy economist at NRDC. He works on global warming policies, energy efficiency, renewables, sustainable building design, smart growth and transportation policy. Ashok is NRDC’s representative on Mayor Bloomberg’s Sustainability Advisory Board and Energy Policy Task Force. He received the US Green Building Council’s 2007 Leadership Award for Advocacy, the Environmental Steward Award from Solar One in 2006, the Environmental Professional of the Year Award from the Association of Energy Engineers in 2003, and the Environmental Advocates’ 2001 Advocate Award for leadership in support of clean air and energy. Ashok also serves on the Boards of Directors of the Coalition for Environmentally Responsible Economies, U.S. Green Building Council – New York, Clean Air-Cool Planet, Alliance for Clean Energy New York, Citizen’s Union Foundation and Riverside South Planning Corporation. He has a bachelor’s degree in physics and math from Georgetown University and a master’s degree in economics from American University. Lars Doemer is the Global Coordinator EHS at H&M based in Hong Kong. His expertise lies in Environment Health and Safety, sustainable textile production, environmental product and process optimization, compliance management. Previously he has worked with Global Sustainable Management. Roshan Lal Tamak is the Business Head – Sugar at Olam International. In his prior assignment he served as the Chief Operating Officer / Chief Executive Operations at Balrampur Chini Mills Ltd for 4 years, wherein he helped in setting up two new plants of 8000 TCD and helped the group in regaining the top spot. He also served as the Joint VP at DSCL Sugar for almost 9 years. Roshan is a B.Sc (Hons), Agriculture (1979-84 batch) from Chaudhary Charan Singh Haryana Agricultural University. Gulshan Arora is GM – Supply Chain Services at IBM and specializes in Lean & BPR implementation, Deploying Ops excellence framework and change management. He has held key roles at Genpact, GE Health Care, Eicher and Sona Koyo Steering Systems. Sonia Shrivastava started her career as a journalist, moved to software development and had a stint as an entrepreneur before she joined the development sector. She has an Honours in Systems Management and an MBA in International Business along with formal training in CSR from the World Bank Institute. 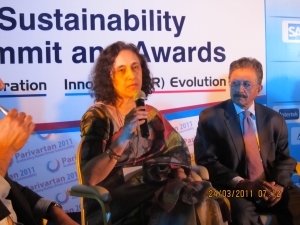 Over a career spanning a decade and a half, Sonia has had a unique and rich cross sectoral experience across both Indian and multinational companies as well as NGOs. Prior to joining Intel, she headed CSR at Moser Baer and ABB. 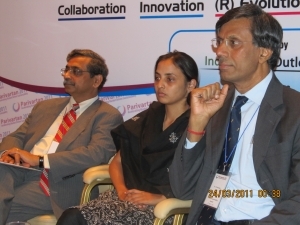 She was also responsible for the formulation of the South Asian Forum for Responsible Business and has co-authored a book on Corporate Foundations in India. At Intel, Sonia is responsible for crafting and driving Intel’s CSR strategy and programs across South Asia as well as new and evolving areas around energy and environment. Her recent achievements include driving the development of energy efficiency standards for computers in the country and a study on the contribution of ICT to meeting the objectives of the National Action Plan for Climate Change. Prof. Sharma is a renowned academician who has steered DCE for the last two decades and brought it to its eminent position. During his long association with DCE, he was able to introduce innovations in diverse areas and bring high international recognition to the institute and has transformed DCE into a research and innovation hub. Recipient of many awards and recognitions, Prof. Sharma is also a fellow of World Academy of Productivity Sciences, fellow of Aeronautical Society of India, fellow of Institution of Engineers and elected fellow of Indian Society of Technical Education. He is also the former President of the Engineering Science Division of Indian Science Congress and former expert Member of Central Advisory Board of Education of Govt. of India. Arvind Goel joined TACO in 2008. He has 29 years of experience in managing projects, manufacturing, vendor development, materials, marketing, exports, etc, and has developed diesel engines, gear box, axle and cab for heavy and light commercial vehicles. Prior to joining TACO, Arvind Goel worked for 26 years with Force Motors Ltd as President and COO of Man Force Trucks. Dr. J.V. Rao assumed directorate office at NITRA in the year 2001. He is an M.Tech from Madras University and Ph.D from IIT Delhi. Before joining NITRA, Dr. Rao had been a professor and research scientist for 30 years at Anna University, Chennai and headed Department of Textile Technology. Under his guidance, today NITRA is working on collaborative assignments with premier Indian organizations. He was instrumental in setting up the Centre of Excellence (Protech) at NITRA in order to familiarize technical textiles to the Indian entrepreneurs. This award was aimed to recognize those companies who have made innovations in the manufacturing process to make the process more sustainable as compared to a business as usual scenario. This included innovations in energy efficiency at a process level that could be meaningfully quantified and compared. 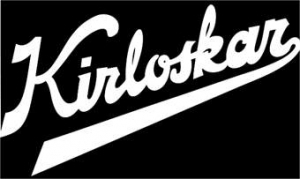 As an organization, Kirloskar Oil Engines efforts towards energy security have been manifold. At their facilities, the company has been using bio-diesel for operating DG sets to minimize the carbon footprint on the environment and have been moving away from wood in the packaging materials. The company uses use more than 35 % green energy for manufacturing facilities. More than 170 initiatives & projects have been undertaken by the firm during last three years for energy conservation & efficiency these have led to a reduction of specific electrical energy consumption by 14% & 34 % in engines and bearing respectively. 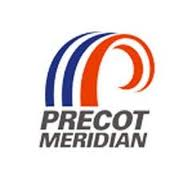 The company has also been successful in reducing the thermal energy per unit of product by more than 29%. 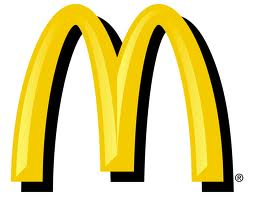 McDonald’s India has under taken various energy saving initiatives over the years at its various facilities. These have led to significant energy and cost savings thus establishing a benchmark in the industry. Successful initiatives include Superheat recovery from HVAC systems, use of LEDs, Electronic ballast for Lighting, improvements in heat pumps, etc. Nitin Spinners has a large number of energy saving initiatives to save power for the health of their organization as well as for serving nature. Infosys has internalized energy conservation practices leading to sustainability as a core business tenet. One of the key initiatives was rolling out an optimized power management configuration covering around 50% of the desktops in their network leading to an estimated 18-20% reduction in total power consumption by desktops. Consolidation of core infrastructure servers like DHCP and file servers from more than 250 to less than 100 has reduced power demand of these servers by around 80%. This award was aimed to recognize those companies who have made innovations in the manufacturing process to make the process more sustainable as compared to a business as usual scenario. This included innovations in water efficiency at a process level that could be meaningfully quantified and compared. Use of the membrane technology to improves the effluent quality and elimination of the secondary clarifier leading to 37.2% reduction in chemical cost and 36.5% reduction in energy cost vs. conventional waste water treatment technology. Innovative process for dehydrating food products and agricultural produce at room temperature (27C-34C) and at ambient conditions i.e. neither vacuum nor pressure. The process does not use any heat input and collects product moisture as water which can be used for other purposes. As a measure to protect the environment, the company has set up the effluent treatment plant with Zero discharge system. As a measure to preserve the water resources, in all its units the company has setup the sewage treatment plant to recycle the waste water from canteen and dormitory. About 90% of sewage water is recycled and put for reuse. Rainwater collection sumps have been provided in all the units. After purification, purified water is used both for industrial and domestic purpose. This award was aimed to recognize those companies who have made innovations in the manufacturing process to make the process more sustainable as compared to a business as usual scenario. This included innovations in a process that led to exemplary waste management, recycling, etc. Recycling of industrial paint sludge to produce industrially useable coating material thereby reducing hazardous waste from the environment. The user industry saves equivalent of the total cost of the paint sludge disposal. Tetrapak has initiated a collection and reuse system for the cartons supplied by them. Tetrapak collects the empty cartons and sends them for recycling to Daman Ganga Paper Board Mills. At Daman Ganga’s facility, the paper part is converted into high value pulp and the poly-ethylene and aluminum are converted as a composite into corrugated roofing sheets which find a very high market for itself. 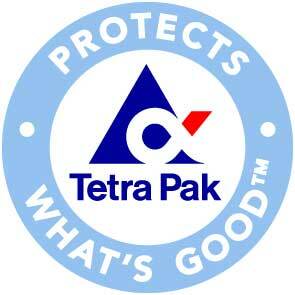 Collections of post-consumed Tetra Pak packages (PCC) have reached 2570 tons (for year 2010). Has set up a plant to convert RHA (Rice Husk Ash), company’s main waste product of about 50 tonnes per day into several useful products like Bricks, Sodium Silicate, PPT Silica powder, Activated Carbon etc. This award was aimed to recognize those companies who showed exceptional leadership in the below sub categories. Waste and trims are opened to fiber by in-house developed technologies and reused in process which leads to zero waste and zero landfills. Used water is treated in state of art in-house treatment facility and reused in process leading to zero discharge. The energy efficient process consumes very low electrical power. The waste heat recovered from fuel gas is utilized for web drying. No external fuel or electricity is used for drying. This reduces CO2 emission by 55%. The firm has pioneered extraction of fiber from agricultural waste and converting it through biological process using natural dyes to finally weave it into apparels on handlooms. The range of waste used includes banana fibers, aloe-vera fibers, pine apple fibers etc., for making innovative eco- friendly textile. The company’s software based infraSECURE solution aids to bring down the energy drain from desktop computing when computers in an enterprise are not being used. The entire process of energy conservation from desktop computing is automated and is not people dependent. Further the solution is architected to ensure that there is zero e-waste generation as the solution is deployed on existing hardware infrastructure and the pre-requisites for the roll out of the solution are absolutely minimal. 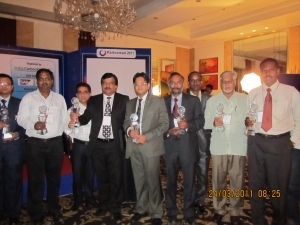 Cognizant is the leader in implementing the Tele/Virtual Presence infrastructure way back in September 2009, over the Tandberg platform. 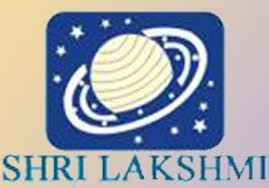 Since then the organization has added more than 400 installations across all geographies i.e. India, Asia-Pac, NA, EU. To evangelize the use of this technology and to track effectiveness the company has formed a separate technology green team focusing on green Initiatives backed up by a separate Video Conference Team supporting the Tele-presence initiative within the organization. The company has introduced REVOLO, an intelligent plug-in parallel hybrid for automotive. REVOLO allows existing vehicles running on conventional fossil fuels to be converted to fuel efficient hybrid vehicles within 4‐hours without changing the OEM made transmission system. REVOLO can also be offered by OEMs as factory‐hybrids. Under city driving conditions REVOLO provides 60%+ increase in fuel efficiency and 35%+ reduction in GHG emissions and decreases cost of travel by 35%. CottonConnect engages with retailers to make their supply chains more sustainable, efficient and traceable. 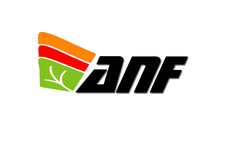 It facilitates large scale farm development programmes training farmers to produce sustainable cotton, environmental improvement projects in textile dyeing and finishing, social improvement projects along the entire supply chain and identification of rotation crop market opportunities for cotton farmers.